Guys CA GYANGURU is sharing notes for students of ICAI in CA FINAL level. These notes are for INDIRECT TAX . 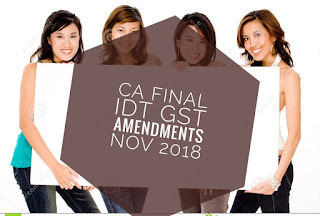 As ICAI has announced that it will be asking AN OVERVIEW OF GST for forthcoming november 2017 exams, keeping in mind we are sharing complete notes for the same. Thses notes of IDT GST for november 2016 are sgort, concise and self explanatory. 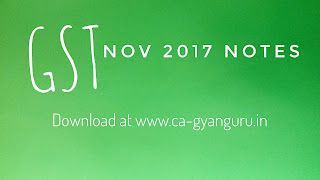 Students of CA FINAL can download thsese GST notes in there smartphone as they are in PDF format and study on the go. 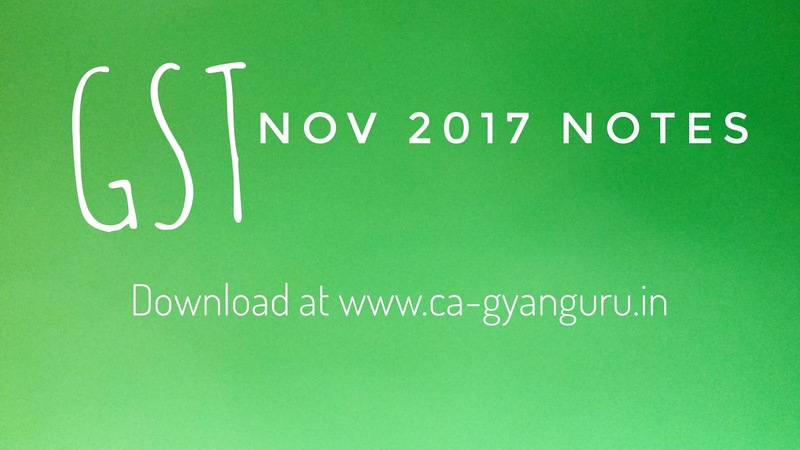 From below link you can doenload CA FINAL INDIRECT TAX NOTES OF TOPIC OVERVIEW OF GST FOR NOVEMBER 2017 ATTEMPT.